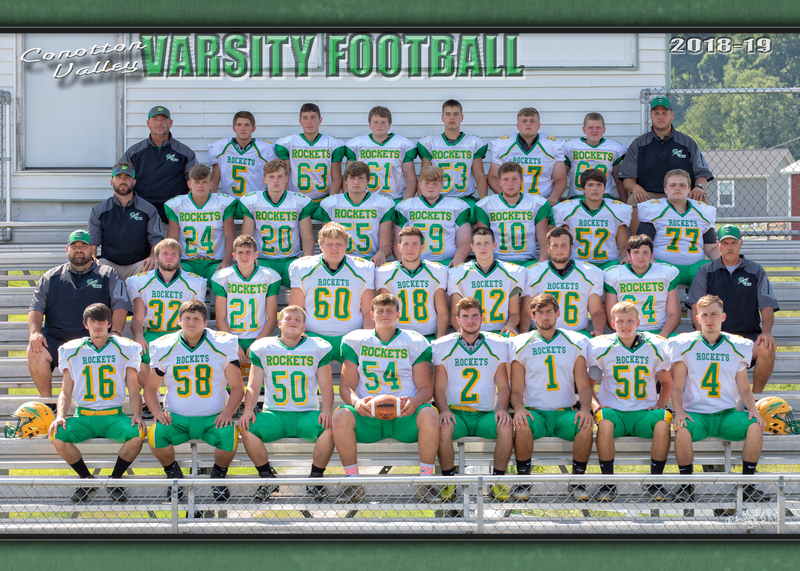 1st WIN FOR FOOTBALL TEAM A THRILLER IN DOUBLE OVERTIME! 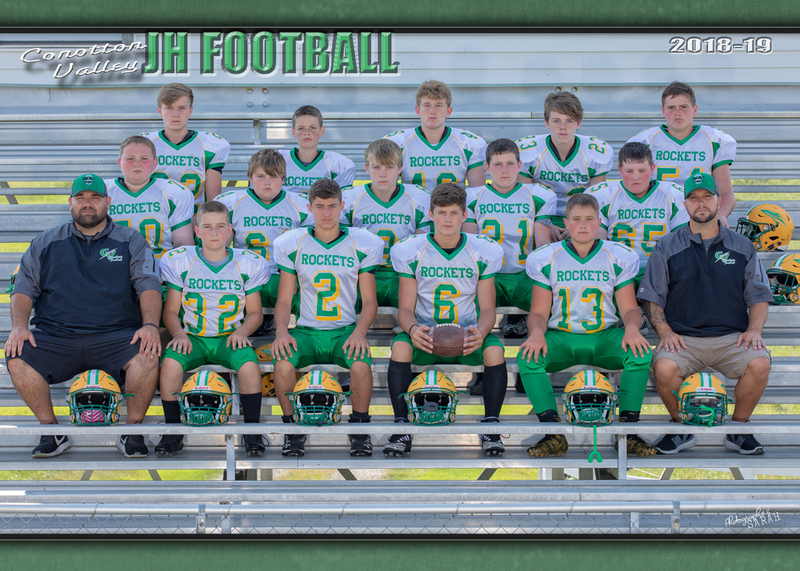 Junior Braden Caldwellbatted down a fourth down pass in the end zone to preserve the Rockets' first win of the season last Friday night at Beallsville 21-14. the nailbiter came down to fourth and three when Caldwell swatted the potential tying (depending on the conversion) attempt to the ground. The Rockets started quickly as Mikey Cottis drew first blood as he scored from two yards out to give the Rockets a 6-0 lead. Senior Matt Caldwell then electrified the Rockets fan base by returning a kickoff 92 yards to account for the second CV touchdown in the second quarter and scored the winning touchdown in the second overtime with a two yard run. Nate Novakkicked the PAT to round out the scoring for the Rockets and setting up Braden Caldwell's heroics on defense. 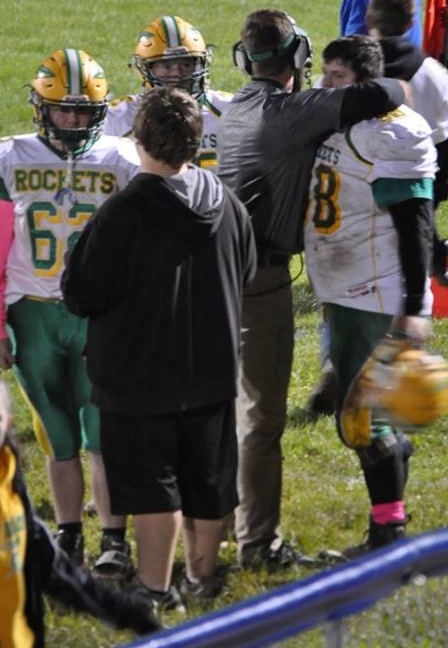 Assistant Coach Ty Carrothers hugs senior linebacker Nate Novak after the Rockets' thrilling double overtime win.